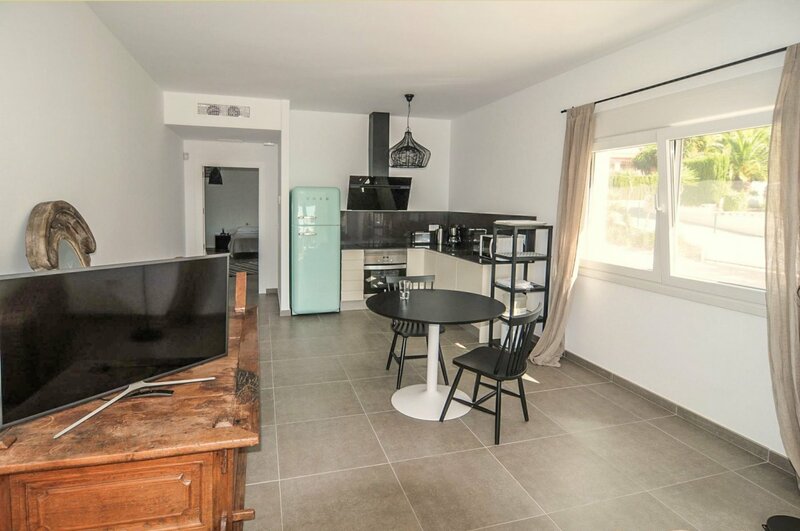 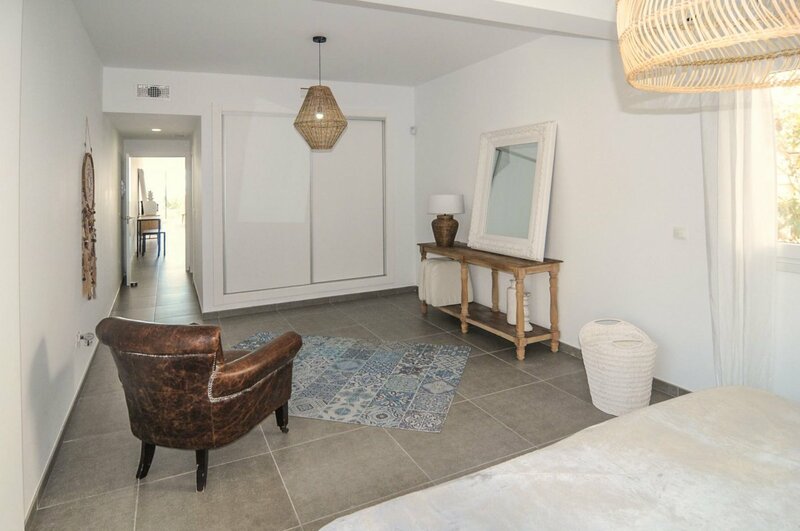 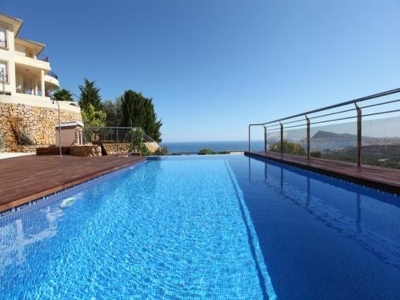 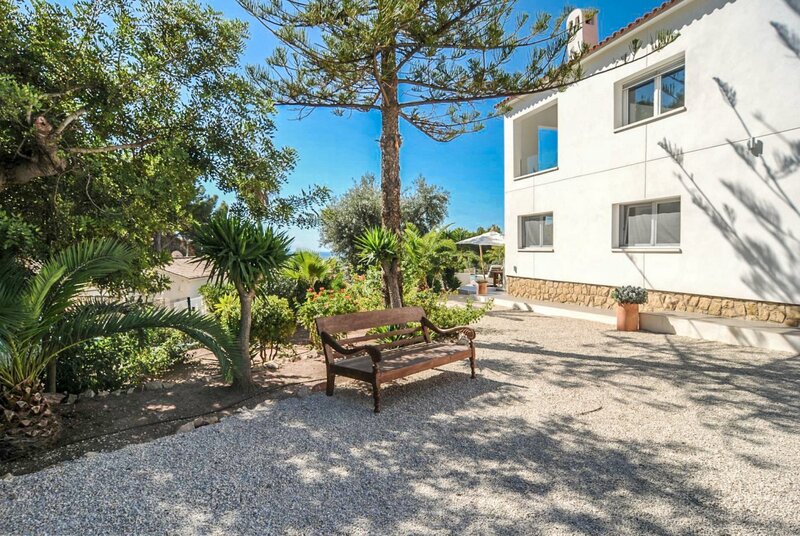 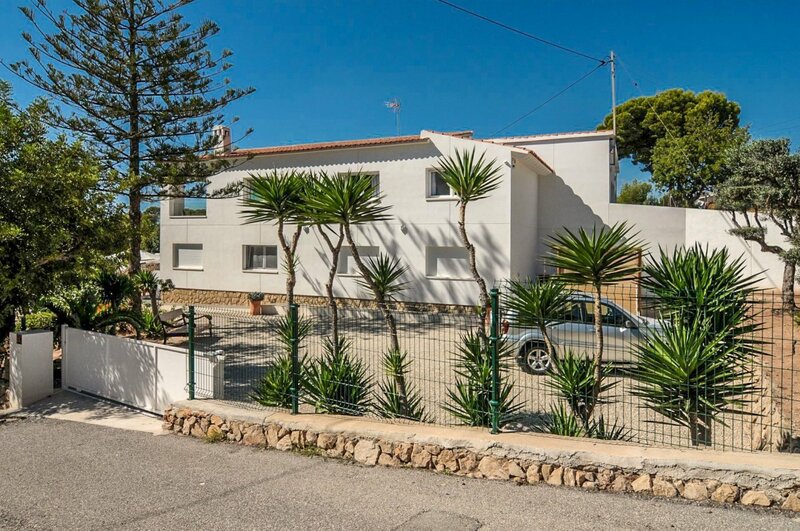 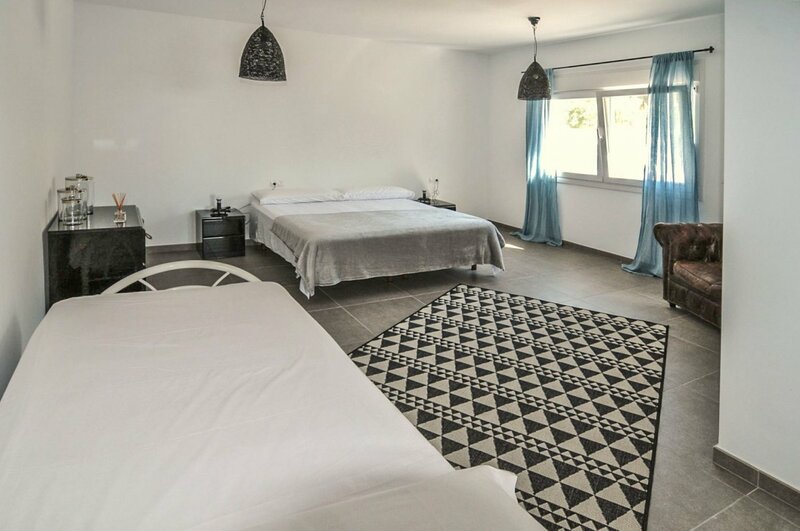 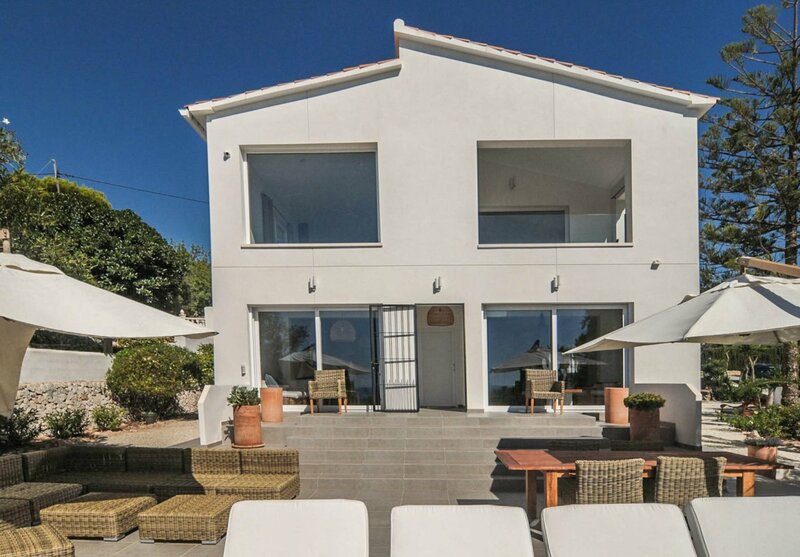 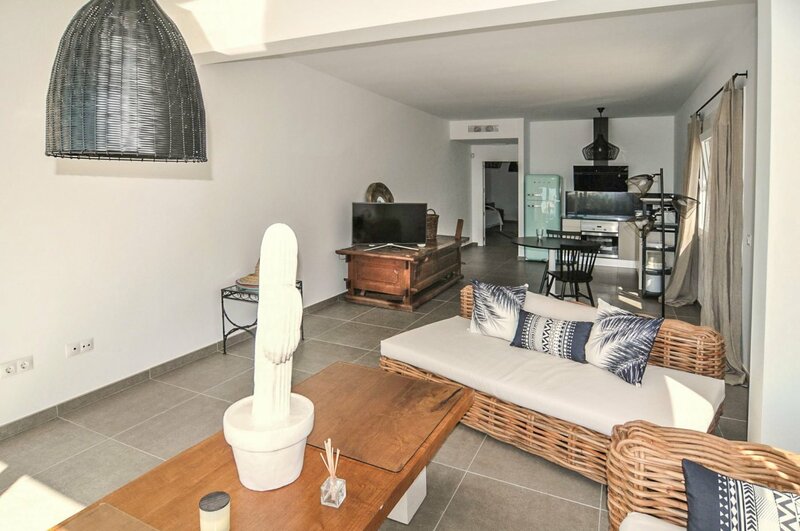 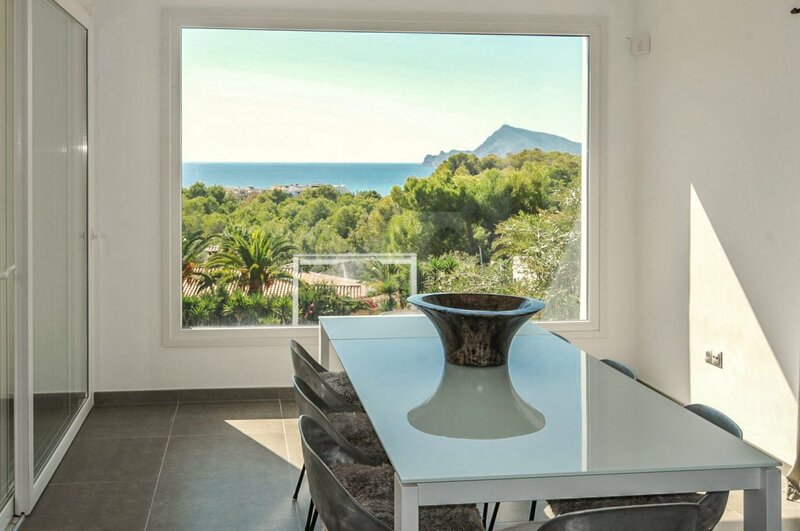 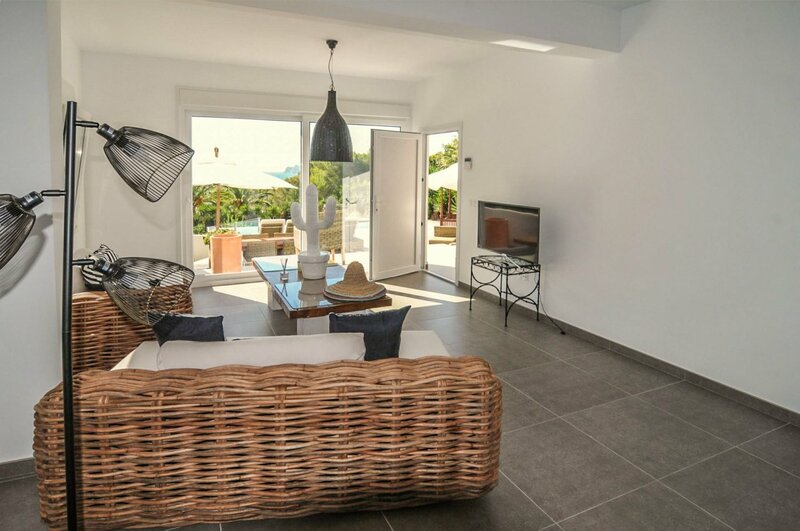 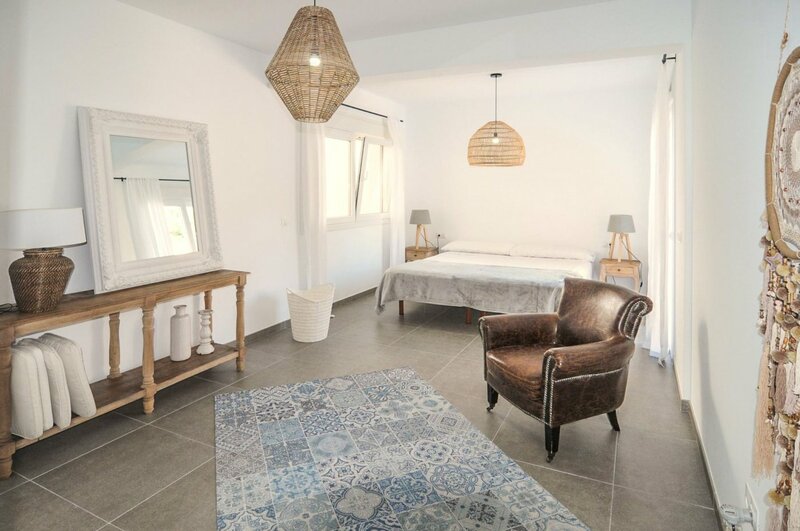 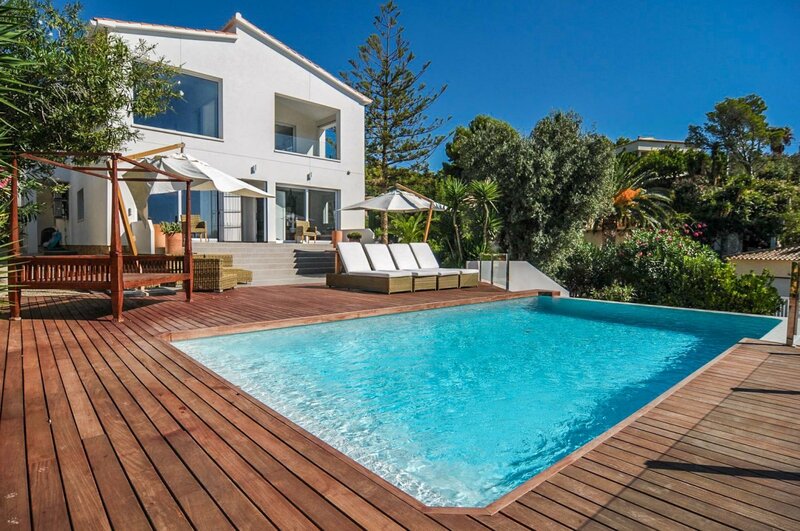 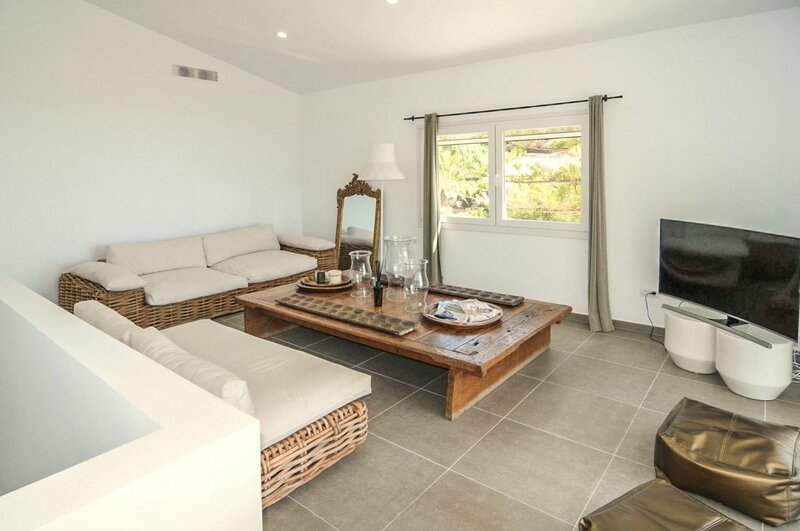 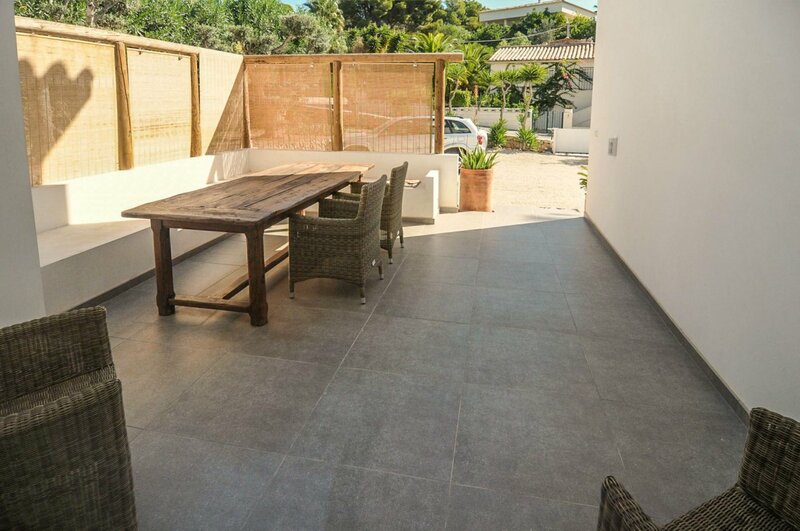 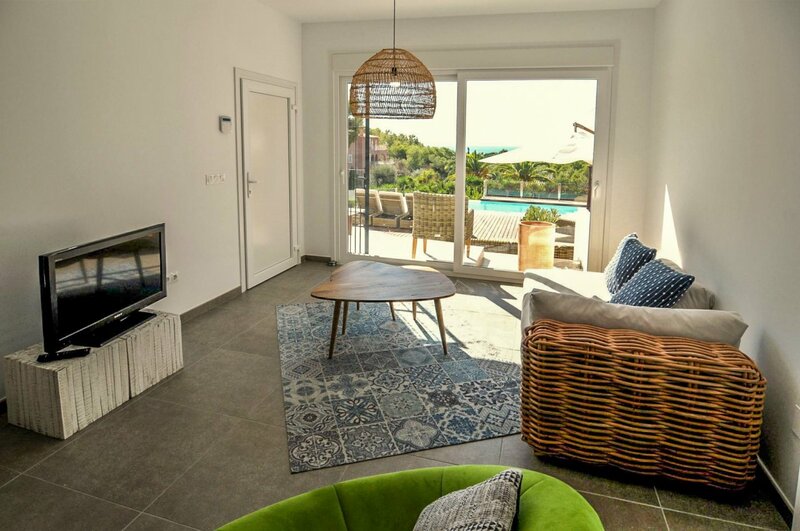 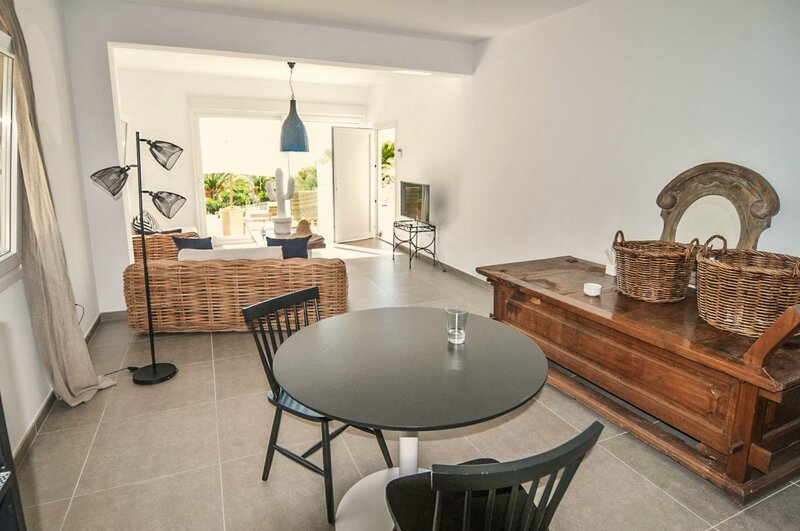 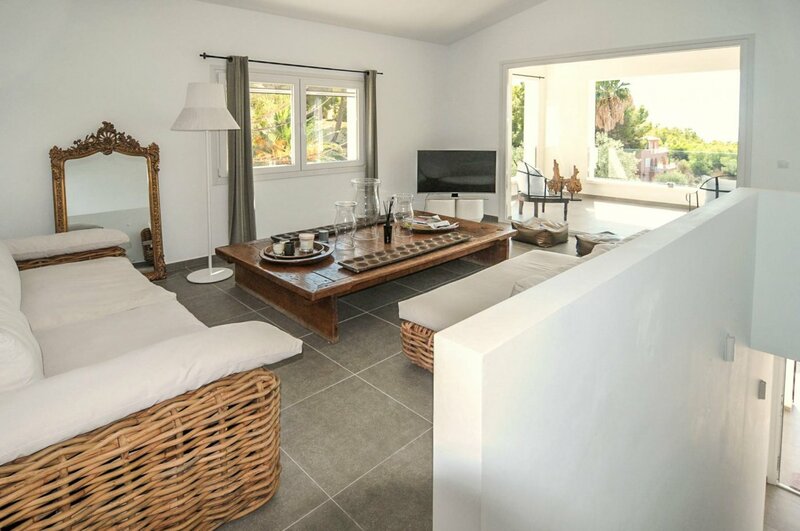 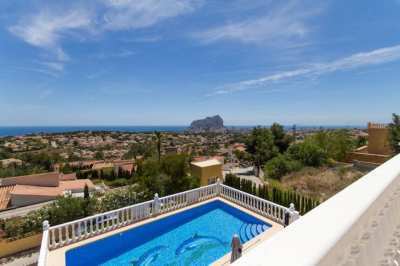 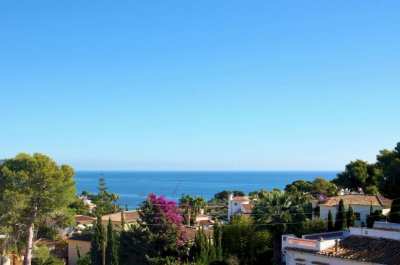 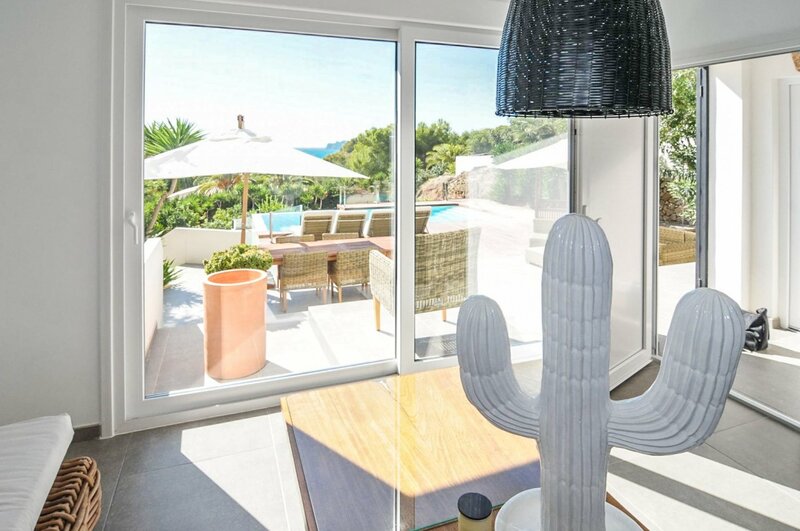 This fantastic 349m2 villa was completely renovated in 2017 and it located in a quiet residential area surrounded by nature with beautiful sea and mountain views. 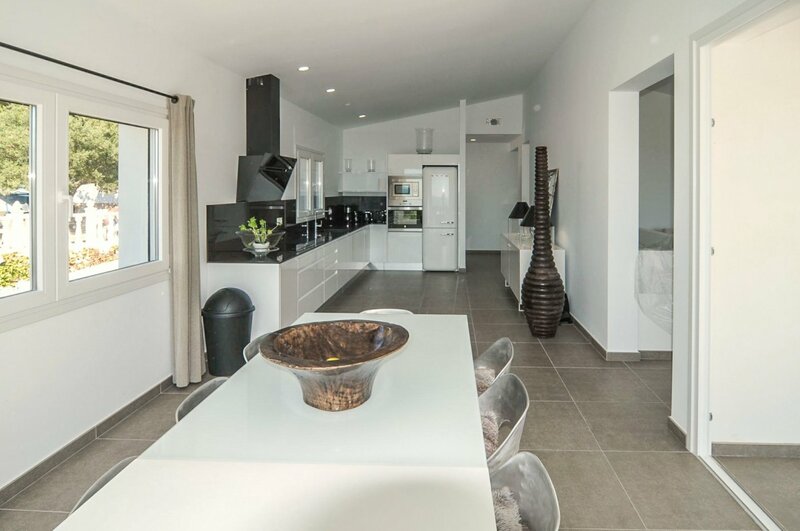 The main living area consists of a living room, dining room, kitchen, porch, two bedrooms and two bathrooms. 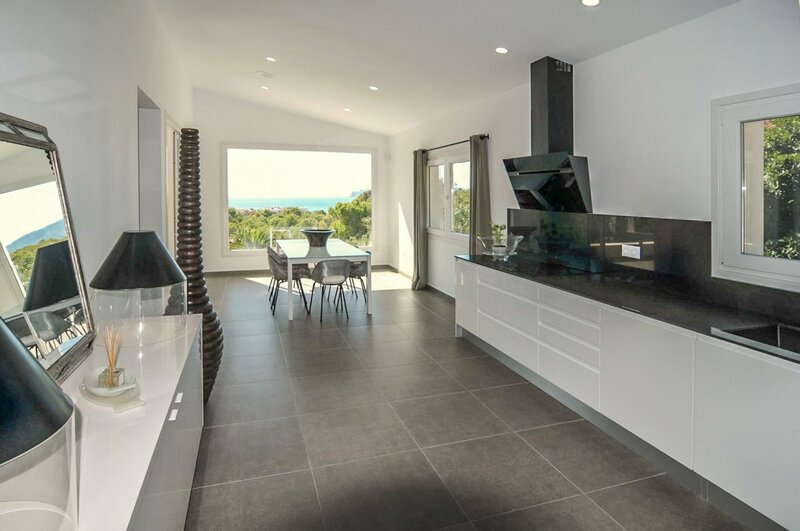 From the living room, the dining room, the kitchen and the porch you can enjoy the fantastic sea views. 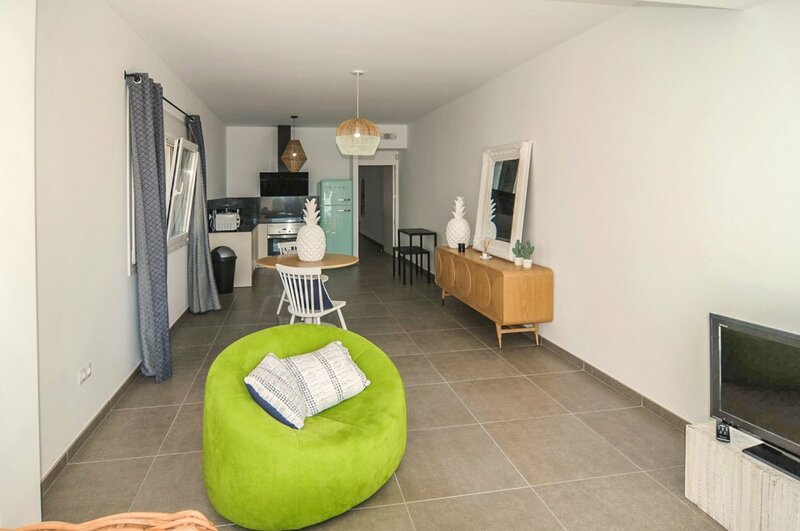 On the ground floor, there are two independent apartments, both with living room and open kitchen, a large bedroom and a bathroom. 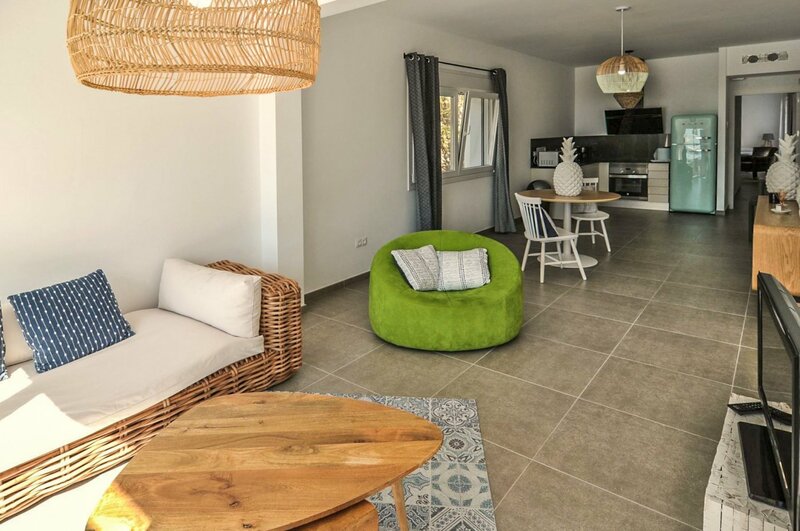 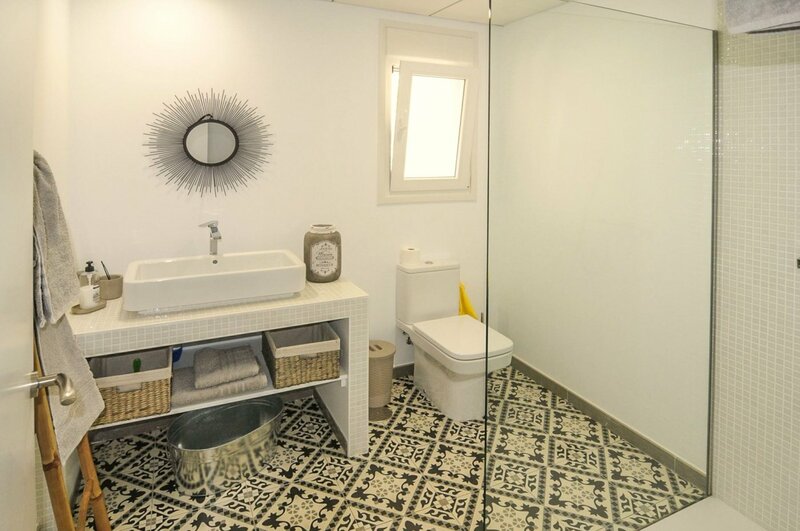 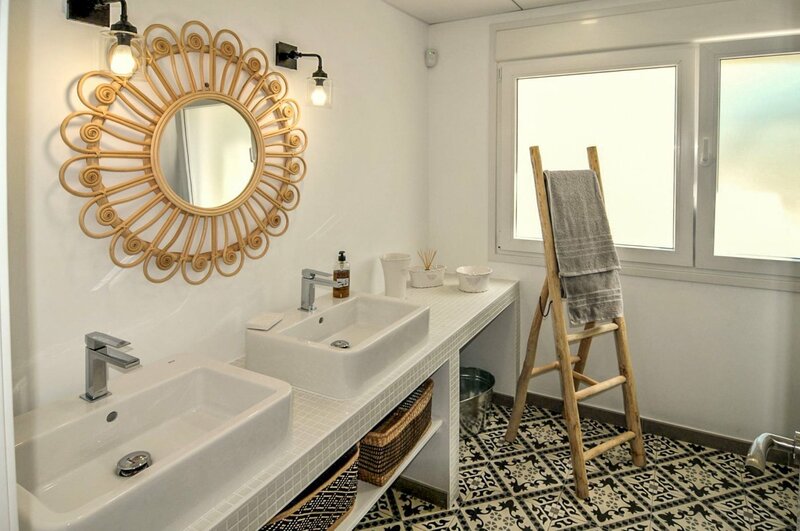 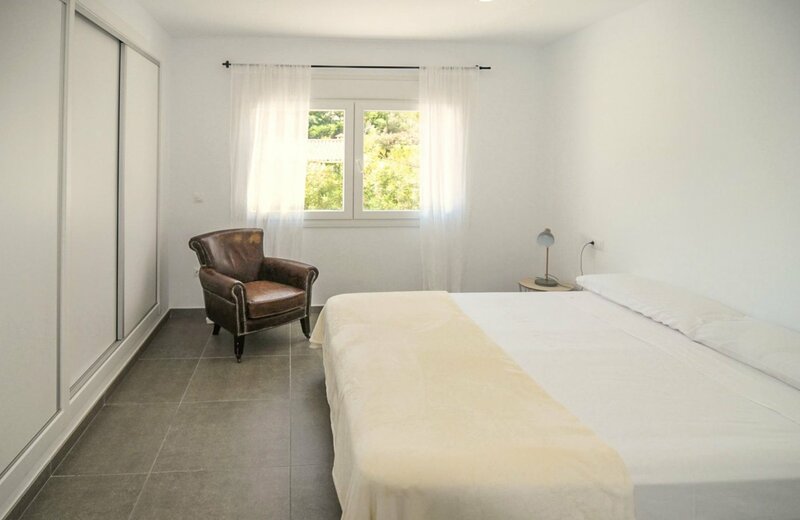 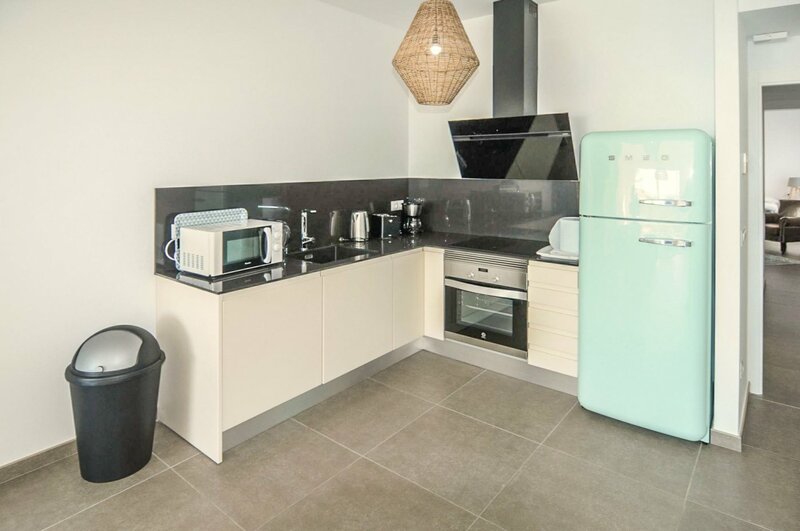 The dwelling is fitted with air conditioning (Hot and cold) in all rooms, tilt and turn PVC windows with double glazing, mosquito nets and automatic shutters, pre-installation for central heating and high-quality flooring and tiling. 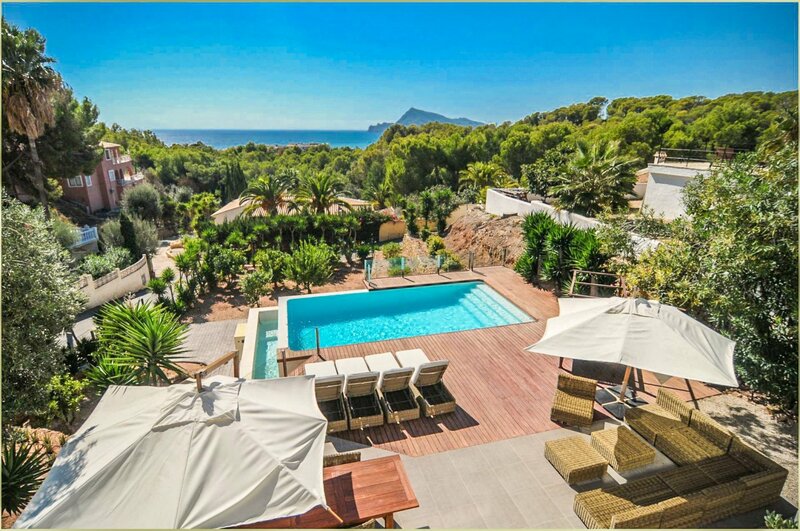 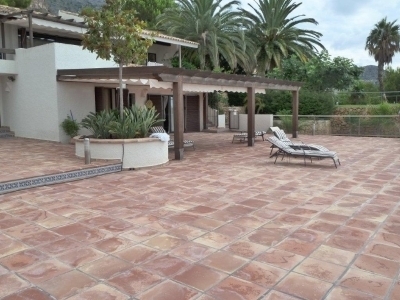 Outside, on the 1524m2 plot there is a large terrace, a cosy dining area and an 8 x 4m infinity pool.